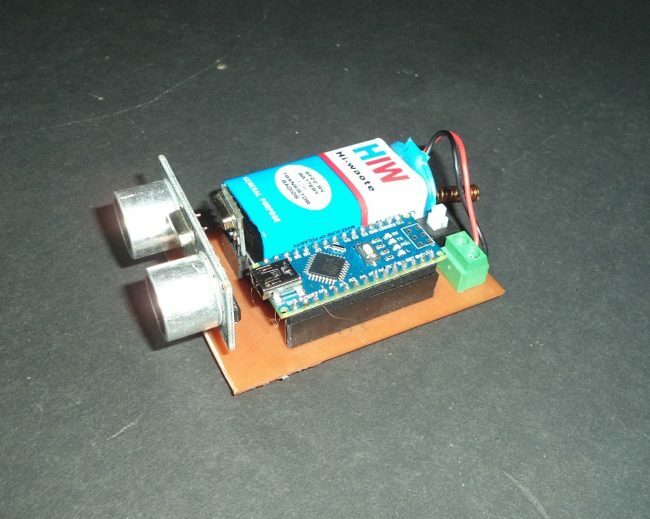 Wireless Water Level Indicator Using Ultrasonic sensor & Arduino is an amazing and very useful project. The objective of this project is to notify the user the amount of water that is present in the overhead water tank. This project can be further enhanced to control the water level in the tank by turning it ON, when the water level is LOW, and turning it OFF when the water level is HIGH. Thus, the Arduino water level indicator helps in preventing wastage of water in overhead tank. This project is wireless so, it is easy to install and it can work up to 100 meters. In this project two circuits are used: a transmitter circuit and a receiver circuit. The transmitter circuit makes use of an ultrasonic sensor to measure the water level in terms of distance. This data is sent to the receiver circuit using RF communication. The water level is shown in terms of percentage on a 16×2 LCD module, which is connected to receiver circuit. In the project two circuits are used, First is the transmitter and second is the receiver. An Ultrasonic sensor is used in the transmitter circuit, which measures the distance of water level from the upper point of the bottle or Tank. The distance is measured in centimeters and sent to receiver circuit using RF communication. Receiver circuit receives the data from transmitter circuit and converts it in terms of the percentage and shows on LCD. Ultrasonic sensor has two openings, one is Trigger and the other is Echo. Trigger makes high frequency sound waves. These sound waves are passed through the tank from top to bottom. The sound waves hit the water and are reflected back in the form of Echo waves. The Echo opening receives the Echo waves. The water level sensor Arduino measures the time between Echo and Trigger. This traveled distance is directly proportional to the time. Transmitter Circuit -Â Â Transmitter circuit is shown in the figure below. Fig1, in this circuit an Ultrasonic sensor is connected to pin D9 and D10 pin of Arduino. Ultrasonic sensor is powered by Vcc and GND pin, these pins are connected to Vcc and GND pin of the Arduino. The measured data is transmitted by RF transmitter. RF transmitter’s data pin is connected to D4 pin of Arduino Nano. 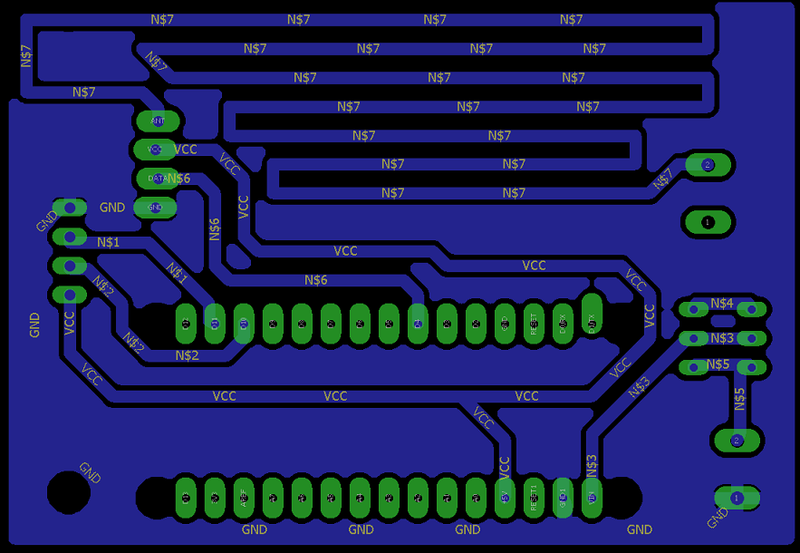 RF transmitter’s Vcc and GND pins are connected to Vcc and GND pins of the Arduino. In this transmitter circuit an Antenna is used which is connected to ANT pin of RF transmitter, whole circuit is powered by 9 volt battery. The battery is connected to Vin and GND pin of Arduino. Receiver Circuit -Â In the receiver Circuit, RF Receiver is used for receiving data from the transmitter. Data pin of RF Receiver is connected to D4 pin of Arduino. 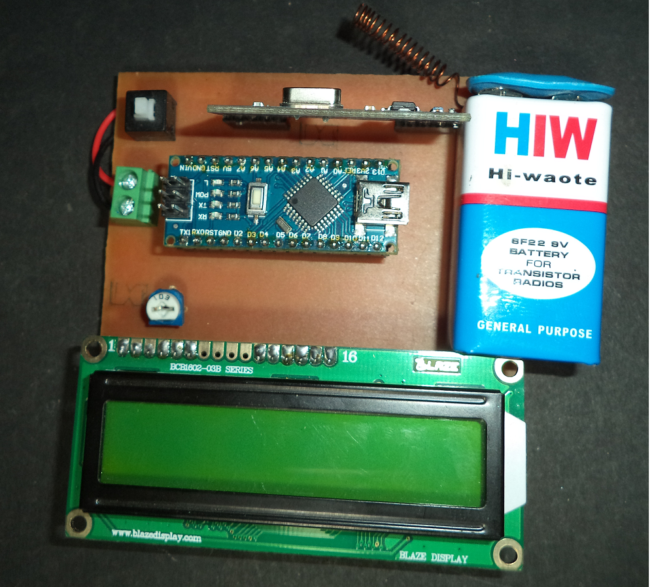 Water level is shown on LCD and LCD is connected to Arduino from pin D4 to D9. LCD is powered by Vcc and GND pin using the Arduino, the contrast of LCD is changed by moving the preset, which is connected to pin 3 of LCD. Receiver circuit is powered by a 9 Volt battery through a switch, which is connected between Vcc and GND pin of the Arduino. Circuit is shown in the figure below. 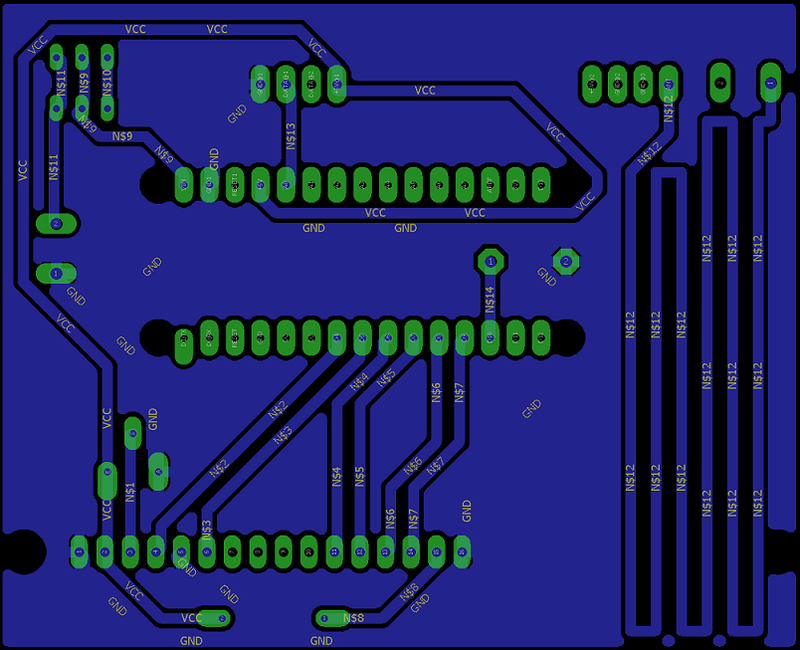 The above shown circuit diagrams of transmitter and receiver circuits are more than enough to make one by yourself on a breadboard or Zero PCB. 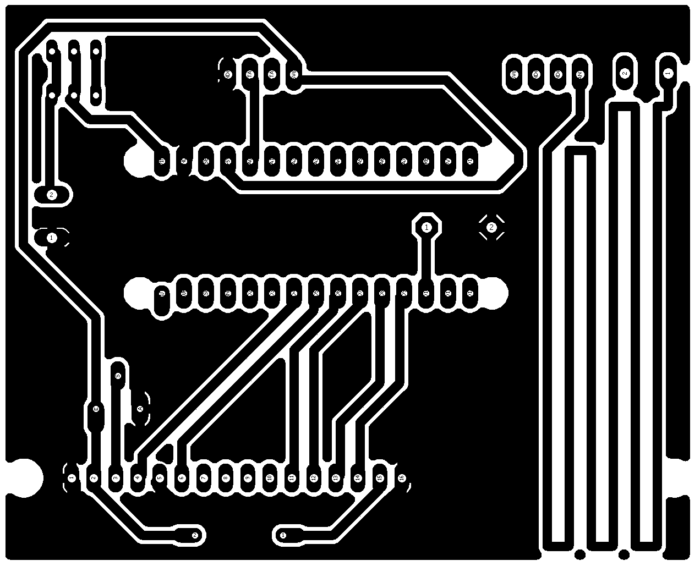 If you are good in PCB Etching, you can use the images given below. 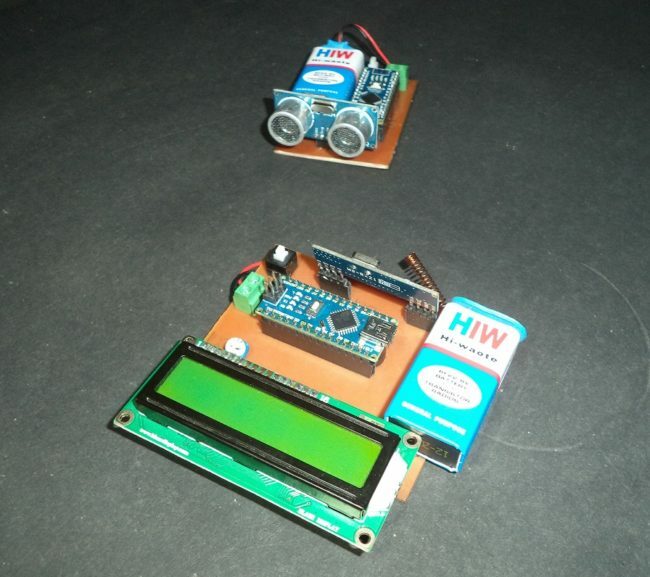 In this project two circuits are used, both are powered by Arduino Nano. RF module is used for the communication between the Transmitter and the Receiver circuits. Â Download the library file from the link https://github.com/sui77/rc-switch. Copy the folder inside rc-switch-master folder. Paste the folder at location Documents> Arduino> library. Close the Arduino IDE software (if opend). If library is attached, you can see the rc-switch-master in Example list. In the coding of the transmitter side, two header files are used. First is RCSwitch.h, which is used for RF transmitter and the second is Ultrasonic.h, which is used for the ultrasonic sensor. Now pins of ultrasonic sensor is declared by the name ultrasonic in line 4, pin11 is Trig and pin10 is Echo. In the line 5 RCSwitch is declared for the transmitter by name â€œmySwitchâ€. In the line 7 an integer is declared by the name â€œiâ€. In the void setup Transmitter is enabled by function â€œmySwitch.enableTransmit(4)â€, where transmitter’s data pin is connected to pin D4 of the Arduino. In the void loop, the distance is measured by function â€œultrasonic.Ranging(CM)â€ and it is assigned in integer â€œIâ€, this distance is measured in centimeters. In the line 15, the measured distance is transmitted by function â€œmySwitch.send(i, 24)â€, where “i” is the distance and 24 is the bit format. After all â€œdelayâ€ of 100 milliseconds are used, which means Arduino sends the data after every 100 milliseconds. In the receiver side, two header files are used, The first is â€œRCSwitch.hâ€ which is used for RF communication between the Transmitter and the Receiver and the second is â€œLiquidCrystal.hâ€, which is used for LCD display. 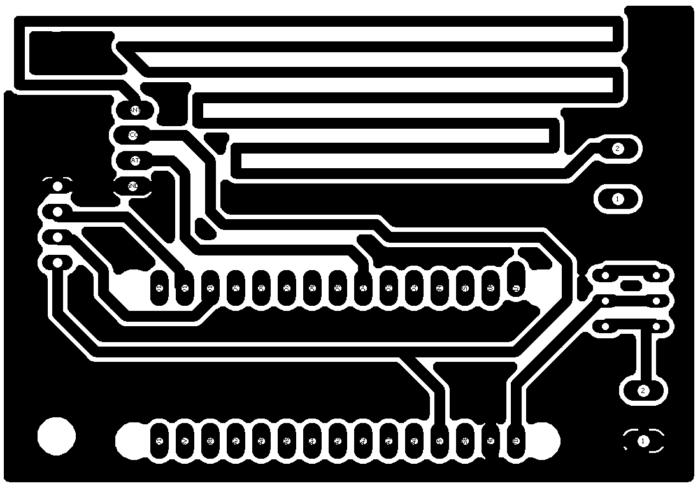 In the line 4, Arduino pins are declared, which are connected to LCD. Total 6 pins are connected to Arduino that are D4, D5, D6, D7, D8, D9. In the line 5, â€œRCSwitchâ€ is declared by the name â€œmySwitchâ€. In the line 7, a float is declared by the name â€œlevelâ€, which shows the water level and in the line 9 and 10 two integers are declared by name â€œHvalâ€ and â€œLvalâ€ where, â€œHvalâ€ is the upper value of water level (distance from ultrasonic sensor) and â€œLvalâ€ is the Lower value of water level (distance from ultrasonic sensor). After all pin of buzzer is declared by integer â€œBUZZERâ€ where, 10 is the D10 PIN of Arduino. In the void setup RF Receiver is enabled by function â€œmySwitch.enableReceiver(0)â€, where 0 is the interrupt pin (INT0) which is D2 pin of Arduino. In the line 16, LCD begins by function â€œlcd.begin(16, 2)â€, and in line 17, â€œlcd.printâ€ is used for showing “WATER LEVEL INDI” in the first row of LCD. In the line 19, â€œpinMode(BUZZER, OUTPUT)â€ declares the BUZZER pin as OUTPUT. In the â€œvoid loop()â€ in the begening “if (mySwitch.available())” is used, that means if any data is received from RF Receiver, the program come in the loop. In the line 25, data coming from RF Receiver is decoded by function “mySwitch.getRecivedValue” and saved in a float â€œlevelâ€. In the line 27 and 28 the â€œlevelâ€ is processed and converted into the percentage, by using some mathematical expression. In line 30, â€œIfâ€ condition is used for limitation of percentage. In the line 32, 33, 34, 35 the level is print on the LCD and in the line 37 “mySwitch.reset.Available()” function is used for resetting the RF module. In the end of the code, â€œIfâ€ condition is used for switching on the buzzer, if level become more then 99 percentage. sir plz hlep. In my project counting start from 100% it reduce 90,80…. i am using ur code..
i want to start form 0.0% to 100%. What modification shall I do to switch on/off the transmitter circuit from ground…??? Does anyone offer for sale a completed project? Does anyone offer a completed transmitter and receiver with software loaded for sale? Very interesting project and it is working fine â€¦ i have request on this program. As per this code motor turn ON water level less than â€œXâ€ level, OK, the motor started pumping the water ;But in case lower tank was empty or some other reasons the TANK water level not increasing from the â€œXâ€ level, we have to TURN OFF the motor for safety purpose. For example: current water level is >60 CM and motor is ON,BUT after 3 MIN still water level not increasing or not reached a specific level( Eg: 50CM) we have to turn of the motor . So this is my requirement how do I resolve this, could you please help me. I could not find the library file “Ultrasonic.h” for download. Has anyone been able to download? I was very excited to see this wireless monitor and decided to make for my overhead tank. Spent couple of bucks and got all components. All went smooth transmitter codes giving following error . Worth mentioning I am just beginner and a hobbyist hence followed every thing verbatim. Very good idea to measure the distance between water level and sensor. The transmitter and receiver circuits make sense of avoiding unnecessary wiring. We can also keep more sensors to measure the water pressure and tank filling log to tell the user approximate time to fill the tank. Same may be used to measure the fuel storage in a vehicle and approximate distance to travel for next filling: the average kmph calculation of the vehicle. A clock can also be added to show date, time and calendar.